Coffee Tamer neutralizes the acid in food and beverages before your stomach has to deal with it. 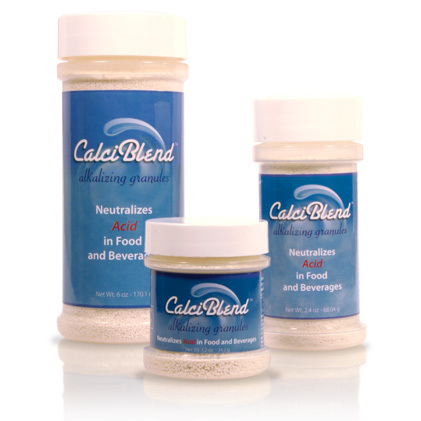 Unlike antacids, Coffee Tamer neutralizes the acid in food and beverages before your stomach has to deal with it. 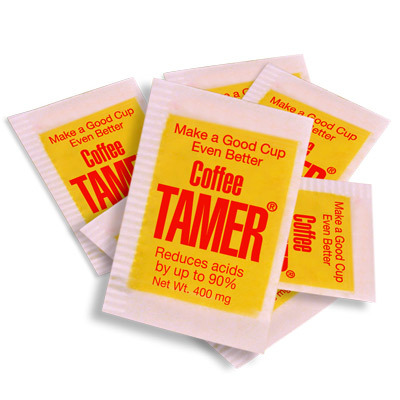 When you sprinkle a little Coffee Tamer into your food or Coffee, the acids in the food or beverage bind to the Coffee Tamer and are neutralized, without changing the taste or aroma. 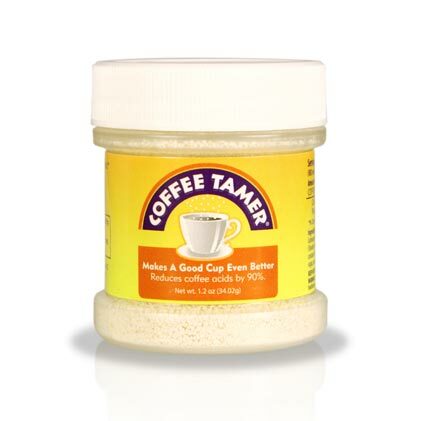 Coffee Tamer contains calcium, potassium, and magnesium. 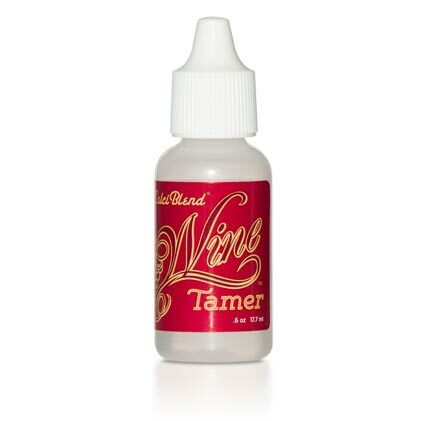 Tamer contains no Aluminum, cholesterol, sugar, fat or calories. 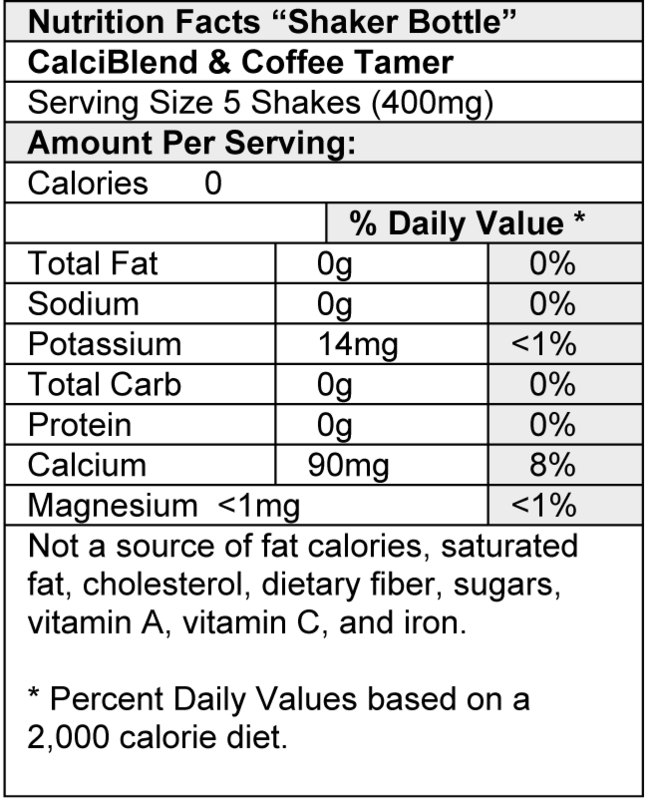 Tamer contains a small amount (Less than 1 milligram of sodium per serving) of CMC Sodium – brand name (Solutab) Tamer’s ingredients are recognized as safe by the FDA, consisting entirely of GRAS (generally regarded as safe) ingredients. GRAS ingredients have been tested a minimum of 20 years by the FDA for safety in consumer products. Add ¼ tsp. to coffee grounds or tea before brewing a ten cup pot. Coffee Tamer can be used in all coffee and tea varieties including decaffeinated.